commented on "My Dear Tea Lovers! ..."
FREE GIFTS with a purchase! I have great news for you! Now you can enjoy your favorite tea even more! I decided to start giving you free gifts with a purchase of some popular teas from Basilur Collections. The Autumn in Australia is officially started, so why not get 100g of loose leaf "Autumn Tea" for free if you buy "Winter Tea" (Black tea with dried cranberriees) in metal tin 125g! 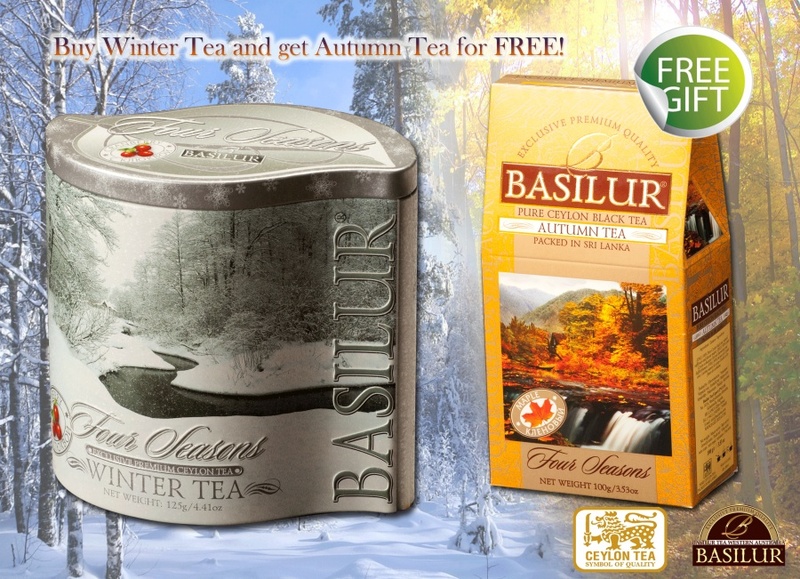 BUY WINTER TEA IN A METAL TIN AND GET AUTUMN TEA FOR FREE! Warm up yourself this season! WINTER Tea- A perfect blend of Ceylon's best low grown OP to warm your heart and soul in this chilly Winter days. A long wiry leaf with natural Cranberry fruits, which give you a highly fragrant, strong fruity aroma. The Cranberries that are low in calories, high in fiber, and rich in vitamin C are ideal to keep you healthy in this season. AUTUMN TEA - Just before flowers buries in snow, there comes a festive season when nature is all aglow. As Maple leaves turn brilliant red in Fall, Basilur Leaf of Ceylon swirl into "Autumn Tea" with world's finest Ceylon black tea, complimented with a tantalizing taste of Maple. Together, they release a calming aroma and smooth taste reminiscent of a delicious feast.